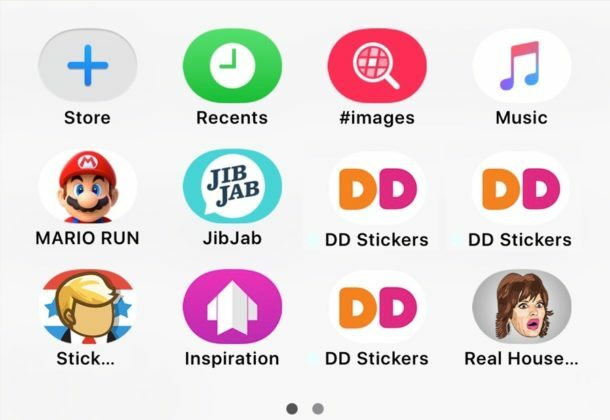 Now that Messages in iOS supports stickers and apps, it can be easy to go overboard adding Stickers and Apps and end up with an overcrowded app and sticker panel. 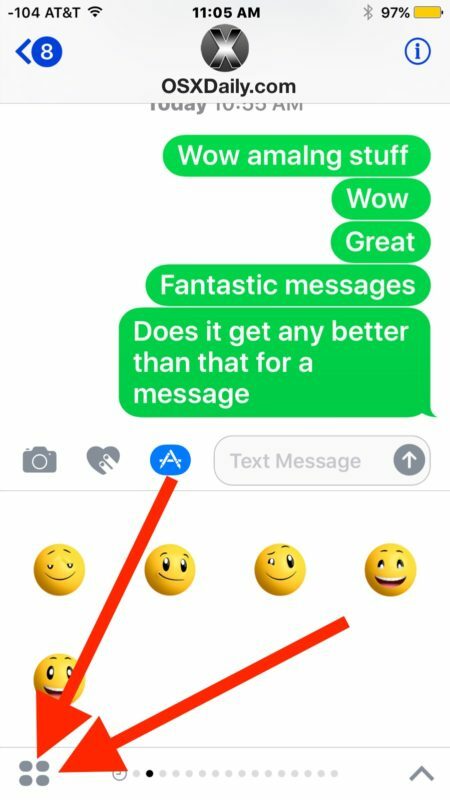 Not to worry, you can clean house and easily delete and remove any stickers and apps from the Messages app on iPhone and iPad. 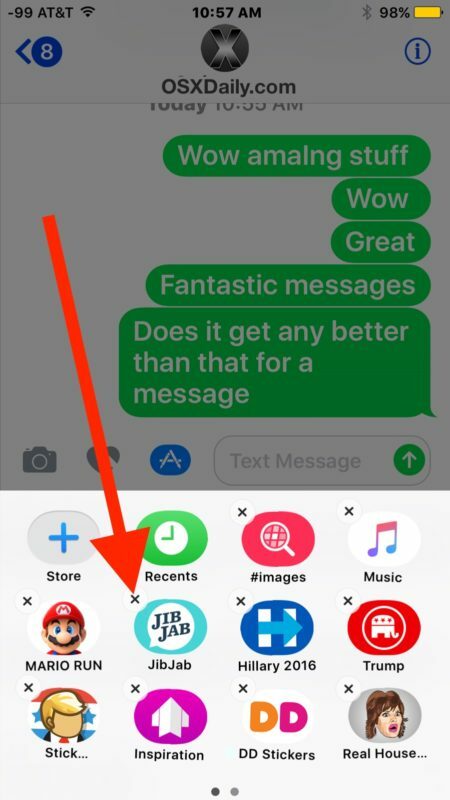 The process of deleting a sticker or app from iMessage is similar to uninstalling an app in general from iOS, except that it’s contained within the Messages app. Keep in mind you can delete any third party messages app or sticker pack, as well as some of the default packs included with iOS, including the gif search app feature. If you later decide you’d like to have a particular sticker pack or Messages app back again, you can simply add Stickers and Apps back to Messages through the Messages App Store as described here. 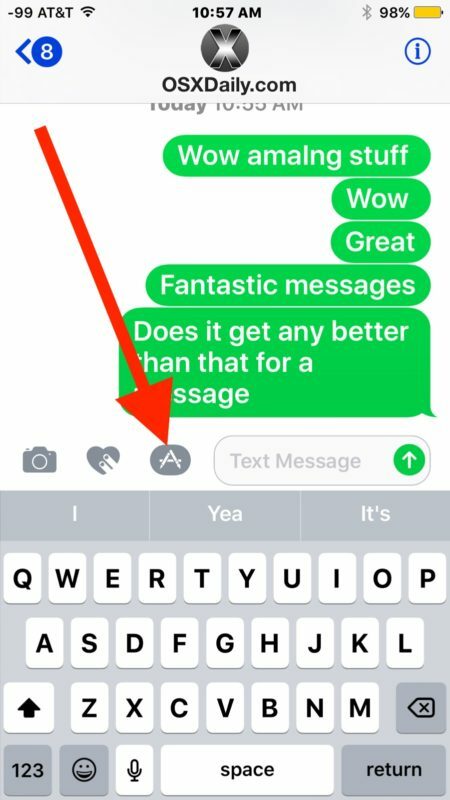 Would Be nice to delete all the messages features for kids since not everyone wants the toys. I’ve been trying for so long to delete the super Mario run sticker but I can’t get rid of it so I desperately need help so what can I do If someone could please help me I would appreciate it very much thank you.